Photo also has the brand airbrushed out. if you squint really hard on the auction photo you can see the smooth patch where the logo was removed. it is ripped from transcend brand card. TM have not removed liam.hudson auctions despite the photo showing an ebay watermark. This one has a bidder and will close tomorrow. I bought a 32GB SD card sold by Coca-mes. I tested it with h2testw and I also tried to copy a lot of files (26Gb). 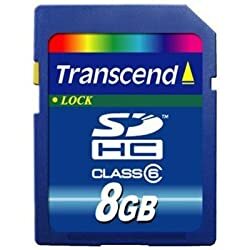 The real capacity of this card is 8Gb. Not more. This card is just a FAKE. I opened a dispute and informed Ebay. here is an interesting article that suggests some fake Media is not produced by counterfeits but are rejects stolen from the production line of genuine manufacturing companies. Imagine a 4gb card being made at the Toshiba factory in china, or where ever Toshiba make their cards. This particular card has a fault and is rejected during the QC procedure. This is often due to having minor faults which lead to reduced usable capacity. From here the card find it’s way out of the factory rather than being destroyed, maybe in the pocket of a worker. This shows that cheap cards sold by dodgy dealers can fail even if they sell it with a real capacity and not hacked. These scams are worse than counterfeit USB Drives due to the longer time users will be unaware something is wrong with the cards. Buyers will use these on cameras taken on overseas trips and then wonder why they have lost most all their photos when they return. has received negative feedback for selling exactly the same card. This is one of two which were brought overseas for me but the one I opened does not work in my video camera. That means this seller is only collecting around $19 after shipping costs.